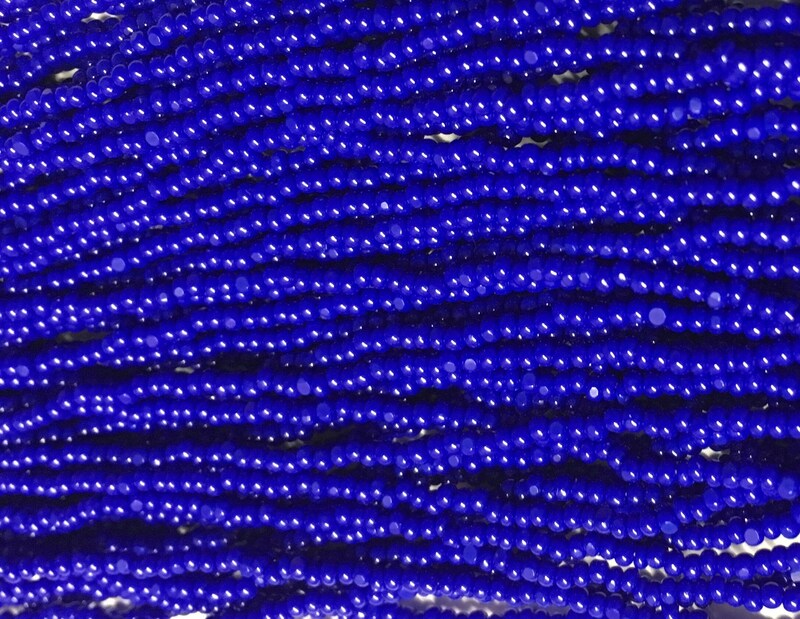 Blue Opaque Charlotte cut Czech glass seed beads in 6 strand hanks, size 13/0, pre-strung. 9 grams per hank. About 2100 beads per hank. Charlotte or true cut Seed Beads are round seed beads with a single facet or flat side. This single facet results in irregular shimmers and sparkles, adding interest and depth to your designs.